I'm wondering why Fuelly.com shows the C-Max averaging about 41 MPG while Fusion Hybrids get 40 MPG average. The EPA combined MPG estimates for the C-max is 40 MPG, and the Fusion gets 42 MPG, about the opposite of what is happening out there. I just include 2015,16, & 17 model years of each since they likely have the same powertrain control optimization algorithms. The Fusion should be doing better since it has an aerodynamic advantage which should translate into about a 5% MPG advantage, or about 2 MPG. The Fusion Hybrid is slipperier with a CD=.27 vs. our C-Max's 0.30, which is due to C-Max's boxier shape. For total drag, which is CDxFrontalAreaxDynamicPressure, the Area is important, and the C-Max has 8% more frontal area. Why isn't the Fusion getting better Fuelly.com averages? EPA says it should. Aerodynamics say it should. As many here know, our C-Max has the same powertrain as the Fusion Hybrid. Also, the weight of the two are about the same (within 25 lbs of each other!). Wheels and tires are the same size, unless a Fusion owner has the optional slightly wider tires, still not much difference there though. I assume most Fusion Hybrid owners have the same size tires as C-Max drivers have, 225/50-17. 5 years ago, the C-Max had some controversy and had to downgrade its EPA MPG estimates because Ford had used Fusion's CD to compute road loads on the MPG test procedure, which is obviously wrong since the CD's are different by 10% and frontal area by another 8%. Even more strange is that I consistently get 44 MPG, checked by fuel tank fillups and also the dashboard display (both agree). I guess I do more stop and go driving than average C-Max drivers, which would raise mine over the Fuelly.com average of 41 MPG, yet I think my driving profile actually has a lot of highway-style stuff in there, and I am not easy on the gas pedal either. It could be the tires in that the Michelin's get the best MPG's, anything else gets less as in the FFH case. My best guess would be the type of miles driven. I suspect that people see the Fusion as more of a "family car" -- and it definitely seems like it would be more comfortable for trips (more passenger room). By contrast, I believe most see the C-Max as more of a commuter/utility car. Because of this, I suspect that the C-Max tends to see more city miles, and the Fusion is driven more on the highway -- and taking highway trips in either car at 65+ mph is going to lower fuel efficiency. I also suspect that the C-Max, with most people not even knowing about it, tends to be purchased more frequently by people specifically looking for a hybrid that they can hypermile to get great gas mileage; most people looking for a station wagon/SUV are going to be pushed towards an Escape (or now the EcoSport). By contrast, with the Fusion being more of a mainstream offering, I think many buy it because they like the Fusion and are attracted to the Fuel economy numbers, but have no idea (or interest) in learning how to drive it to get the best fuel economy. Fusion Hybrids come with the same tires as C-Max's. Michelin Energy Saver A/S 225/50-17. .....UNLESS significant numbers of Fusion Hybrid owners have the optional 18" wheels which take non-LRR Goodyear LS2 tires (235 width instead of the 17" tire's 225 width). Assuming half of all Fusion Hybrid owners have the fatter, non-LRR tires, then I'm not sure it would overcome the ~5% MPG advantage the Fusion "should" have due to lower aero drag. Anybody know if half of all Fusion Hybrids are the Platinum or Titanium luxury trims with the non-LRR fat tires? I'd think only 35% would be those expensive trim levels, guessing. Interestingly, the EPA MPG estimates are the same for 225 tires vs. 235 tires on the Fusion Hybrid!!! The 225 tires are very LRR, and the 235 aren't at all, so I'd think there would be a 1 or 2 MPG loss using the fatter tires, not reflected in EPA MPG numbers, kind of misleading to consumers right there. The only other factor that I can think of is buyer demographics. ...This just occured to me. It could be more C-Max owners are city dwellers, where the extra stop-n-go type driving gets them better MPG than more suburban or rural highway travel. This has to be the answer, since the aero advantage of the Fusion isn't enough to overcome driving environment. The C-Max has the hipster urban Euro look to it, while the Fusion is a more conservative old-fashioned sedan style which would appeal to suburban or rural buyers more. Edited by MaxHeadroom, 21 February 2018 - 02:47 PM. So funny, I typed my stuff in while raadsel (see above) did, and we both surmised about the demographics-usage styles. Agreeing there. Having driven both hybrids I think the CMAX is more roomy especially with the higher ceiling and the seating position in more comfortable on long trips, like driving to and from SF( 5000 mi. in 8 days). I noticed FFH got 1 mpg better on HWY, but CMAX got 1 mpg better City. I had the FFH for 3 weeks so not a real high precision test, but works for me. BTW tires can make a big difference in MPG, 2-5 MPG's. My Daughter lost 3 mpg on her Prius going to Cooper LRR and I gained 5 mpg from going from Pirelli P6 to GoodYear Fuel Max on my Focus. The Fusion has a bit of extra width that I think helps with longer trips, and it definitely (at least to me) has better seats (though this may also depend on the trim). Additionally, the upper trims of the Fusion Hybrid has a power passenger seat, which makes it more comfortable when someone else is driving. In particular, the C-Max -- despite its height -- seems a bit too narrow in the shoulders for me. The Fusion, because it is a sedan and has the closed trunk, has less road noise, as well. I also believe the Fusion may have more insulation against noise. Fusion owners are attracted by looks, C-Max owners, by utility. As a result, more Fusion owners will drive it like a sports car. It works, too. Fusion is available with several drive trains, while C-Max is a dedicated hybrid (here, at least). I bet lots of Fusion Hybrid owners don't really understand they have a hybrid. Here is a way to knock the Fusion MPG down quite a bit. Hang on mass and aero-destroying add-ons as in the new Police Fusion Hybrid car Ford is offering currently. I'd like a Fusion Hyb with the heavy duty suspension and electrical, minus the lights and front bumper thingie. Looks like the kind of car you could pick up Jake at Joliet in. 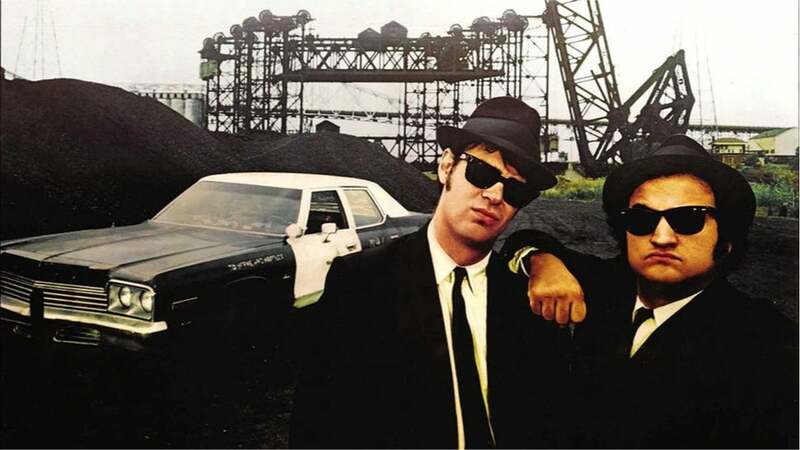 "Cop motor,... cop tires, cop suspension..."
You should be able to buy those at auction in the next few years; I'm guessing they'll take off the lights and "front bumper thingie" before they put it up for auction. 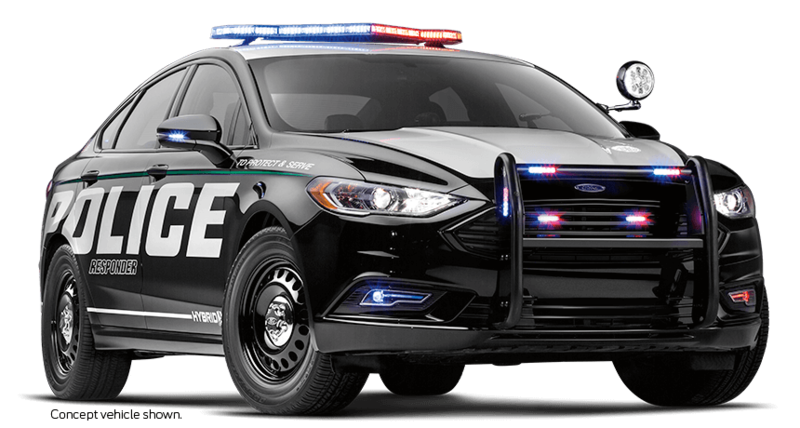 Of course, you likely won't get the same fuel economy with the Fusion Police vehicle as with other hybrid vehicles, since it is more of a "performance hybrid." My guess is that it will tend to keep a higher level of battery charge, so that it can provide extra power (with the ICE and electric motors working together) when needed, as well as being able to keep the engine off when the car is stopped but left turned on. Personally I love the Escape/CMAX look. The Chevy Bolt looks pretty good. I had a sedan and would not buy one again. I would never drive one on long distance. I prefer a trunk with flexibility and room and trying to shoe horn multiple suitcases in a sedan trunk. Why bother! That being said I don't know what the hell is going on with Toyota. The new Prius / Murai and Lexus looks are vomit worthy. Edited by zalusky, 25 February 2018 - 01:16 PM. I believe with my mods on MADMAX I have a better CD than the FFH and close too, maybe better than new Prius looking at Fuelly averages for 2016/7 52.2/50.5 mpg considering Prius's smaller ICE should be more efficient. I think my Fuelly average is about 52 mpg for the last 50k miles. What's going on? That's easy. They wanted to get rid of their staid old "grandma would look good in this car" look. They succeeded. How? I think they hired some out-of-work boom box designers from a few years back - the guys who gave us those ghastly and beastly atrocities that, in your wildest hallucinations, couldn't be called a "box". I used to think some of the car styling from the 1950s was rather wild but now its starting to look pretty good! Agreed! My son and his wife both bought Prius primes this last year and the tech inside may be cool, I have to really bite my tongue when it comes to the outside and not complain. I know Toyota wanted the Priuses to have a unique look but come on. The rear end look is terrible and mileage should not trump everything especially rear passenger space. I would willingly sacrifice an mpg for taller rear headroom.